Catalogue > Cities: maps and sights of cities and villages > 4. North Holland > EGMOND AAN ZEE. Kerk en Toren. 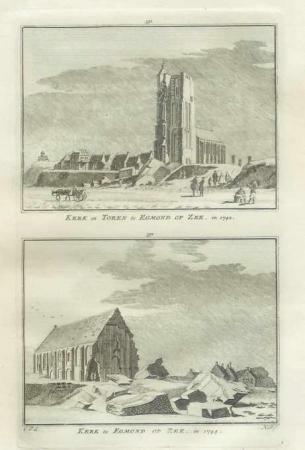 "KERK en TOREN te EGMOND OP ZEE. in 1742. / KERK te EGMOND OP ZEE. IN 1744."